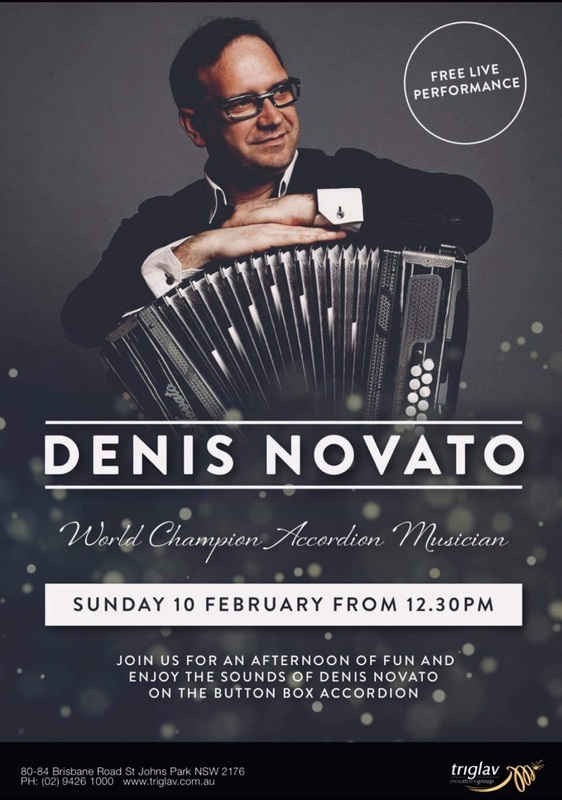 Slovenian world champion of the diatonic button accordion, Denis Novato with John Ferfolja from Toronto on guitar will be performing in Australia in February 2019. 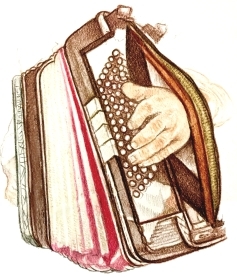 Slovenian accordionist and software developer from Melbourne, Australia, specialising in folk music from Slovenia, Austria and Germany. Piano accordion Weltmeister Monte, 4 reeds 96 bass, helikon bass, made in Germany.